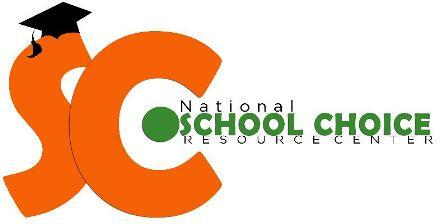 School Choice Campaign (SCC), a policy reform initiative of Centre for Civil Society (CCS) is organizing the fifth annual School Choice National Conference which will bring together top-level academicians, policy makers and education experts on Friday, 20 December 2013 at The Multi – Purpose Hall, India International Centre, New Delhi, India. It aims to discuss, debate and formulate innovate policy ideas to address critical issue plaguing the education sector in India. India is growing at a high growth rate from last two decades. Effects of which are visible in all aspects of quality of life. A new big middle classes is emerging, which is full with aspirations. They want to decide their own destiny and shape their careers. The new India demands a new demography, a generation which is seeking, thinking, formulating, exploring, challenging and re-thinking. Children of the coming generation, children of 21st century have different ask from the education system. Such a system needs a rethinking of kind of teachers, teacher qualifications, teacher certifications, a new kind of school leader, a different kind of school space. This conference aims to achieve all this through expert presentations and plenary discussions with the top education specialists of the country. What Education Children need in 21st century India? : Plenary discussion to understand the demands of new India which is seeking, thinking, formulating and exploring possibilities for its future. It is a discussion to understand the needs of the education sector which can help the new generation achieve its goals. This session will discuss the vision of education that education leaders of today foresee for the coming decade. Policies we need for 21st century requirements: This session focuses on the kind of policy frameworks, administration structures and management styles we need to provide for such an education. This session will try and understand the policy requirements to deliver such a vision. It will focus on new innovative methods for assessments, classroom innovations, teacher training, financing models; which will aid the education process towards vision 2025. Rethinking RTE: Can current policy framework of India deliver? : This session aims to understand the current policy framework and the gaps that we need to fill to deliver the new age vision. It aims to look at the current RTE model and evaluate its scope so as understand the challenges that need to be dealt with. The session will try and understand the reforms needed in RTE so that it can aid the process to Education 2025. Join us for a day of high-power talks, panel discussions and debates with renowned speakers and experts from around the world.